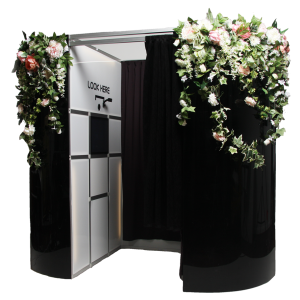 Stand out with this beautiful floral photo booth. These silk flower garlands are handmade by Francesca, the owner, therefore they are 100% unique to BoothFairy. 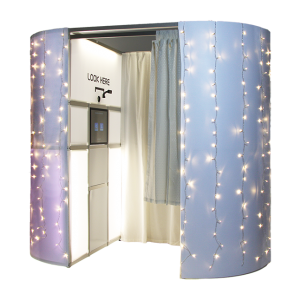 They make the photobooth stand out beautifully and often matches the decor, especially at a Wedding. These garlands are one of a kind and are guaranteed to look absolutely stunning at your event. 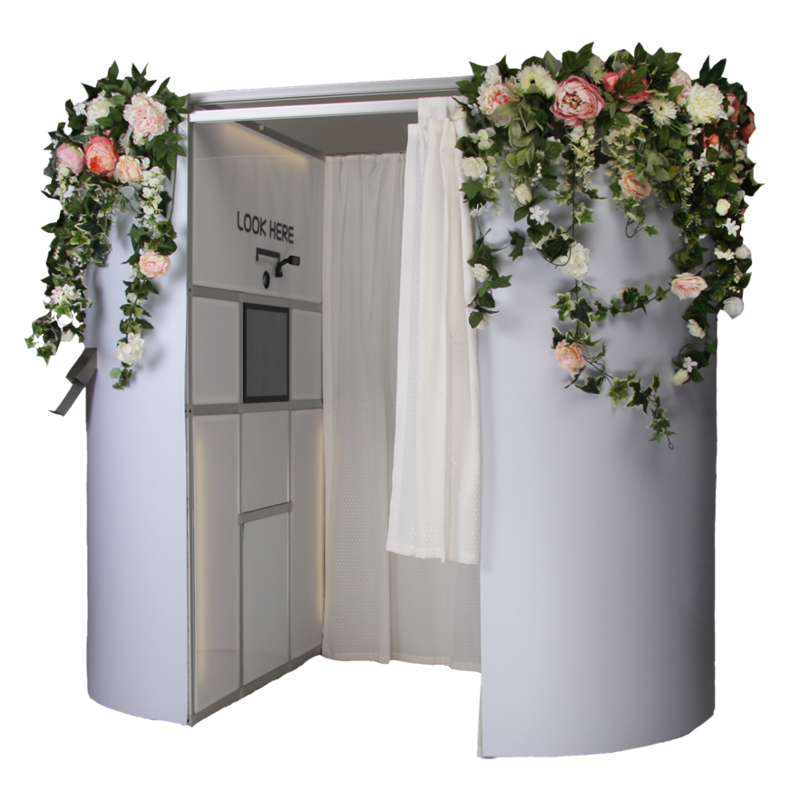 Turn heads with our stunning handmade white silk flower photobooth! 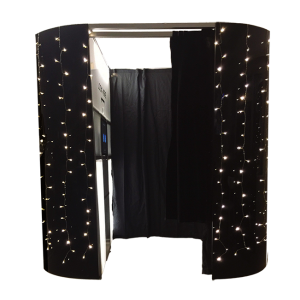 It comes fully loaded with unlimited prints and woven fairy lights to make it stand out when it gets a bit darker during the evening.